Low carb diets are known for being a great option for weight loss, but what does a low carb diet really mean? Is it as simple as lowering your intake of carbohydrates in order to lose a few pounds? Not necessarily, according to the powers that be in the diet world. There are many variations of low carb diets that can make it very difficult to know which one to choose. Read on to learn about the most popular low carb diets and the differences between them so you can better determine which one will work for you. The most well-known, and likely still the most popular form of a low carb diet, The Atkins Diet has been around for decades and was the first of its kind. 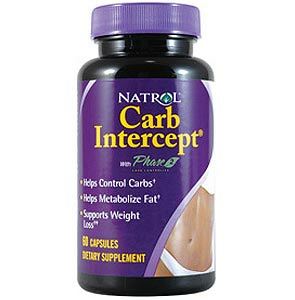 It allows for a very limited number of carbs in the diet, with the first few days being even more limited than later in the diet, and is likely the most extreme form of low carb dieting that people choose. It is the topic of much debate about whether the unlimited amounts of protein and limited carbs are healthy (although studies have shown that those on Atkins don’t have an increase in bad cholesterol, and in fact have an increase in good cholesterol instead). In addition, the process of putting the body into ketosis (a stage in which you consume so few carbs the body is forced to burn its own fat for fuel) can actually harm muscle mass and create a state in the body that offers quick results in a manner that is hard to maintain on a daily basis. However, it is still being debated and studied regularly, and there is likely a reason it is still the most-used low carb diet. For many, the entire reason for going on any type of low carb diet is due to a predisposition for (or even a diagnosis of) diabetes. However, this type of diet is not limited only to those that are at high risk of developing the disease. Adopting a healthy low carb diet and maintaining it is one of the best ways to keep this and other diseases at bay. Because carbohydrates are processed in the body as a sugar, lowering the intake of carbs naturally leads to more regulated blood sugar levels. According to WebMD, one study showed that diabetics on a low-carb diet designed specifically with diabetes in mind were able to cut their insulin dependency in half over a 22-month period. The diabetics’ low carb diet is one of the low carb variations that is specifically designed to regulate blood sugar levels, and it is restrictive, but not quite as restrictive as the Atkins. The South Beach Diet is a popular type of low carb diet that utilizes phases to create weight loss and better health. The beginning requires a strict Atkins-style form of carbohydrate restriction in order to eliminate the sugar and starch cravings that most people typically endure. Once the beginning strict low carb phase is passed, healthy carbs can be reintroduced to the diet. Many believe that this type of low carb diet is one of the best variations because it may be easier to stick with over time than a more restrictive type. The paleolithic diet is one type of low carb diet that offers a variation that goes by one simple rule – eat like a caveman. This variation on the low carb diet requires that you eat as you would long ago, before so many processed foods were readily available. Sugars and other modern day foods are banned, and meats are allowed in abundance (just as it would have been during paleolithic times). While dieters on the “caveman diet” typically show success in weight loss and health, in some ways it is more limiting than the Atkins form of low carb diet. Atkins promotes protein bars and other store-bought processed foods as part of the daily low carb diet, but the paleolithic diet frowns on these types of foods. Eating in an all-natural way that is also low in carb is of course a healthy option in most cases, but it might not always be easy to stick with. Whatever type of low carb diet you choose to follow, you are sure to experience weight loss if you stick with it. And of course, it is always a good idea to check with your healthcare provider to make sure that any diet you consider undertaking is safe. When you do choose your preferred variation of a low carb diet, be sure to stop by our store at Linda’s Diet Delites to find a variety of low carb snacks, mixes, breads and more! 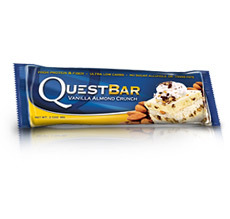 Quest Nutrition low carb, high protein Quest Bars are now available in Vanilla Almond Crunch, Peanut Butter Supreme, Mixed Berry Bliss, Chocolate Brownie, and Apple Pie flavor. A British University study has found that patients with Type 2 diabetes were able to completely reverse the disorder through diet alone. The Newcastle University ran a study with just 11 patients and put them on a low carb and 600 calorie a day diet for eight weeks. The research found that the extremely low calorie diet removed fat from the pancreas which then allowed normal insulin levels to be secreted. The researchers at the Northern England based university also discovered that 7 of the 11 patients remained free from diabetes 3 months after the diet had finished. The diet consisted mainly of non-starchy vegetables and diet drinks, and over the eight week period the volunteers had the amount of fat in their livers monitored, along with the insulin in their pancreas. These results were then compared to a group of individuals who did not suffer from diabetes. The results were astonishing; with pre-breakfast blood sugar levels at normal after just one week of the trial. MRI scans showed that the fat levels in the pancreas had dropped, allowing the organ to produce more insulin. The disease, also referred to as adult-onset diabetes, develops when the pancreas cannot make enough insulin to regulate the blood sugar levels and fat metabolism. It differs from Type 1 diabetes (juvenile diabetes), which is an autoimmune disease where the immune system attacks the cells that produce insulin. Indeed Professor Taylor himself warned that only a minority of people, perhaps 5% or 10%, would be able to stick to the harsh diet necessary to get rid of diabetes, and that diabetes sufferers should not undergo such a drastic diet without full medical support from their doctor. Scientists at Diabetes UK, who commissioned the study said that although the trial was with a very small number of people they were looking forward to future results. Particularly if those results showed that diabetes could be completely reversed in the long term. Because of the health benefits of a high protein/low carb diet a lot of vegetarians are now choosing this diet as a way of life. In a traditional high protein/low carb diet a person would tend to eat a lot amount of meat or fish to obtain their protein, obviously vegetarians need to find alternative sources of protein that are not animal derived. We’ve compiled a list of high protein food sources that will enable vegetarians to reap all the benefits of a healthy low carb diet. 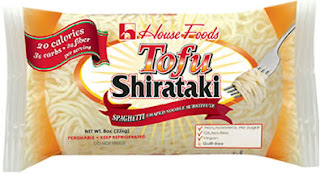 Tofu is commonly used as a meat substitute for vegetarians, and it can also be used as a high protein food source that can replaces other traditional vegetarian mainstays that are high in carbohydrates such as legumes or beans. Tofu has a unique texture that soaks up flavors making it an extremely useful food to use in marinades, casseroles and with sauces. It is extremely versatile and can be cooked in many ways, fried, scrambled, mashed, sliced, diced… you name it. Whatever you can do with meat, you can do with tofu. A 3oz serving of tofu contains 2 net grams of carbohydrates. Tempeh is made from fermented whole soya beans, it’s great used in stir fries, casseroles and other dishes where you would traditionally use meat. Whilst tempeh isn’t as low carb as tofu – cooked tempeh has 9 grams of carbs per 3oz serving, it does have a low glycemic index score. Quorn is a mycoprotein extracted from a fungus called fusarium venenatum, related to the mushroom family. It is usually sold in a ground or diced form and it’s also available as various convenience foods such as sausages and burgers. Its carb count varies depending on the product so you need to check the labels of any Quorn product you buy. Quorn does contain egg whites so is not suitable for vegans. Cheese, yogurt, cream and milk are all excellent sources of protein, as well as other vital nutrients such as calcium, magnesium and zinc. Vegans can use soy variations of traditional dairy products which are high in protein. Different low carb diets advocate different types of fats, the Dukin diet for instance would promote the eating of low fat dairy products and no more than 4 eggs a weeks, whereas the Atkins diet would allow full fat versions of dairy products and an unlimited amount of eggs. Eggs are an incredibly versatile protein source and an excellent meat alternative. A whole egg contains 0.5 grams of carbohydrates. A light meal can be made very quickly with eggs, and eggs are a great breakfast food for those steering clear of high carb cereals. Most of the fat and cholesterol are found in the egg yolk, so if you are on a diet that restricts your fat intake you may need to limit the number of egg yolks you eat in a week. You can however, eat as many egg whites as you like. Again some diets are strict about which fruits you can eat as a lot of fruits are quite high in carbohydrates. Berries, however, are an excellent choice, most fall into the superfoods category and are full of antioxidants, vitamins and other essential nutrients, and most importantly low in carbs. A ¾ cup of strawberries has just 9 grams of carbs compared to 21 grams in a medium sized orange. 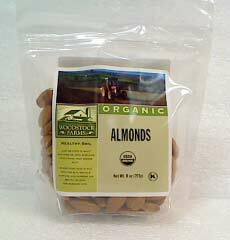 Nuts are a fantastic source of protein as well as magnesium, potassium, iron, calcium, zinc, copper and B and E vitamins. Whilst they are regarded as very high in fat they are full of the unsaturated kind that helps lower cholesterol and keeps your heart healthy. Nuts and seeds can be used instead of breadcrumbs for crunchy coatings, sprinkled on your berries and yogurt in the morning or simply eaten on their own as a snack. Nuts and seeds are a must for a healthy low carb diet. Obviously low carb diets are big news and thankfully there are many products on the market that allow vegetarians and meat eaters alike to eat some of the foods that they love without spiking their blood sugar levels. Linda’s Diet Delights has a great range of low carb foods, which covers low carb breads, low carb pastas, low carb muffins, low carb cereals and low carb candy to ensure that you stay in ketosis and keep yourself healthy and trim. NoOodle Noodles are now available. Zero calories, zero net carb noodles created from yam flour and a touch of lime. Dieters often believe that the Summer is “too late to begin dieting. But because of how fast you can lose both pounds and inches on a low carb diet, it makes for a perfect late-minute approach to a Summer diet blitz! If you’ve been considering a low carb diet for a while now, whether it be for weight loss or general health reasons, you couldn’t pick a better time to start than summer. Of all the seasons, summer offers us the most of amount of natural choices that won’t have you feeling that you’re missing out. Our diets tend to be much lighter over the warmer months generally, and the abundance of fresh fruit and vegetables on offer make meal planning much easier than with the more starchy offerings that are available over the fall and winter. We naturally tend to eat lighter foods when it’s warm outside and are less likely to be tempted by the often carb loaded comfort foods that we crave more in the winter. Low GI diets such as the South Beach diet actively encourage the consumption of good carbs found in abundance in the pickings of summer fruits and vegetables. Even stricter diets such as Atkins, now allow nutrient rich carbs back into the diet after the initial induction phase. Starting a low carb diet in summer means that your body will have adjusted to its lower carb intake by the time winter comes around, and picking low carb meal choices will hopefully be second nature. How can we resist all the yummy summer fruits and berries that are readily available? Added with some Greek yogurt and a sprinkling of mixed nuts or seeds makes a nutritious and more importantly, delicious, alternative to carb loaded cereals or toast in the morning. Some home-made muesli or granola using oats, bran, dried fruits, nuts, shredded coconut and topped with a sliced banana is a great start to the day.You can make this as low carb as you like by experimenting with ingredients.Make up a big batch that will keep you going for days. Alternatively buy some ready made low carb cereal. Obviously sandwiches are a no-no unless of course you’re using low carb breads, but there are plenty of other low carb options. Salads with cold cuts of meat or grilled chicken or turkey make excellent lunch choices. Omelettes make a great quick and easy lunch, high in protein and virtually carb free. Cold salads made with quinoa, brown rice or pearled barley are a great way of mixing up your diet and increasing your fiber intake. Low Carb pastas and noodles make great light suppers that can be loaded with fresh summer vegetables. New potatoes make an excellent low GI substitution for regular potatoes with a glycemic index of just 54 compared to 75 for French Fries. Foregoing your carbs altogether with your evening meal is much easier to do in summer, as we don’t crave the comfort foods as much as we do in the colder months.A piece of salmon and a variety of vegetables makes a tasty and filling meal and you will barely notice the lack of potato or other high carb side. As long as we stay away from the ice creams and high sugar frozen popsicles, summer snacking can be easy to stick to a low carb plan.A tub of hummus with some vegetable batons makes a delicious snack, and some chicken drumsticks make great protein loaded hand-held food. There are also plenty of low carb bars and low carb snacks to choose from to curb your appetite. As more and more research and clinical trials take place into low-carb, high-protein diets we are discovering that there are many health advantages other than losing weight. A new study using mice has found that low-carb diets could reduce the risk of getting cancer as well as slow the growth of tumors in cancer sufferers. The British Columbia Cancer Research Center has been running clinical trials using mice that were fed a diet similar to the South Beach or other Low-GI diets. The mice that ate a diet that consisted of 15% carbs, 58% protein and 26% fat, were found to have slower tumor cell growth than laboratory mice that were fed a more typical American diet of 55% carbs, 23% protein and 22% fat. The research team put mice that were predisposed to developing breast cancer into two teams, one team were fed the high-carb traditional Western diet, the other the low-carb, high-protein diet. During the first year, almost half of the mice on the high-carb diet actually developed the cancer, but none of the mice fed on the low-carb diet developed breast cancer. During the 2 year trial only one of the mice on the high-carb diet lived his full life expectancy, and of all the mice on the western diet—70% died of cancer. In the team fed on the low-carb diet, only 30% developed cancer, and more than 50% of the mice reached their life expectancy or exceeded it. Gerald Krystal, a scientist at the research center, said: “This shows that something as simple as a change in diet can have an impact on cancer risk” The researcher also added “On the Western diet, half of the mice had tumors by middle age. On the low-carb diet, none of the mice had the tumors”. The study had proved that tumor cells are fed by glucose. By simply decreasing the amount of carbohydrates eaten the glucose in the body is greater reduced, so tumors cannot use it as fuel to grow. Whilst the study was based on mice, the principals should also be strong enough to be applied to our own eating habits. In addition to this, reducing the amount of carbohydrates consumed also limits the amount of insulin the body produces. Insulin has been found in past studies to actively speed the growth of tumors in both humans and mice. The emphasis on choosing both good carbs and good fats however, is paramount to overall health. 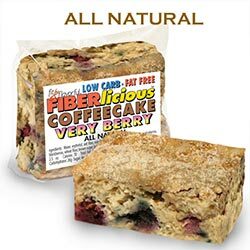 Simply Scrumptous Low Carb Low Fat Coffee Cake is now available in Very Berry flavor. Just like the other coffeecakes, these are only 70 calories each and 5g net carbs. 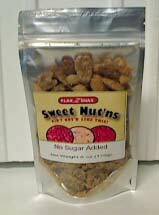 Flax Z Snax Sweet Nut’ns are now available in the new flavor of Cinnamon Cranberry. Enjoy this delicious, nut packed treat now with the slight tart of cranberries.